We specialise in Campanulas and grow most of them on the nursery. Our range of both alpine and border bellflowers is extensive, but do bear in mind we produce in fairly small batches and not all of our catalogue is available at one time. Please contact us with your campanula wish list and we will get back to you as soon as we can. Please note our mail order service will restart in the autumn. Orders are now being taken. Most gardeners and plant-lovers have grown campanulas at some time, either the taller herbaceous forms in mixed border schemes,or the dwarf, more compact varieties in rock and scree gardens, raised beds and containers. 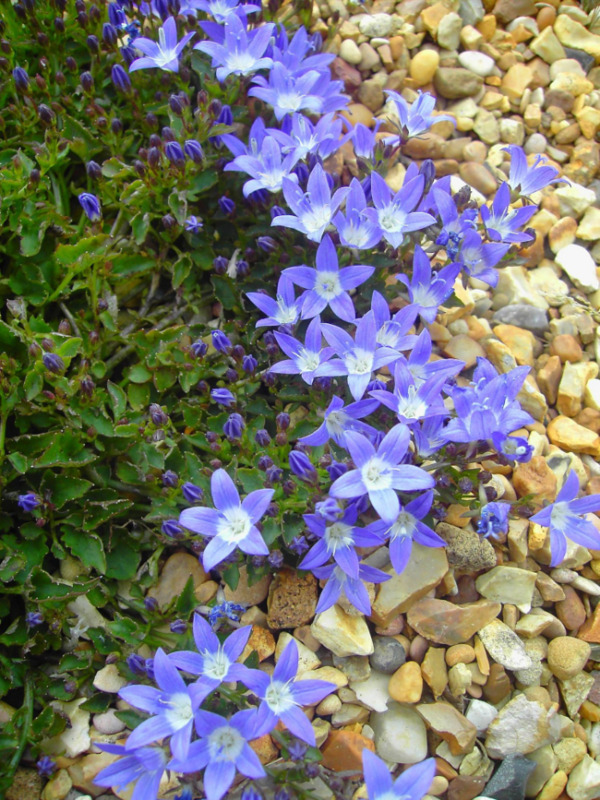 These smaller campanulas are the alpine bellflowers, which make up a diverse and charming group of dwarf campanulas. We have held the Plant Heritage National Plant Collection® of alpine campanulas since 2006 on alpine campanulas. Please go to the Contact page to find out more about PH. As collection holders, it is our responsibility to safeguard the species and cultivars within the collection and conserve particularly those campanulas which are only rarely available commercially and often threatened with extinction. This involves growing and propagating the plants in conditions which replicate those offered in nature and the wild - quite a challenge in the flatlands of East Anglia!